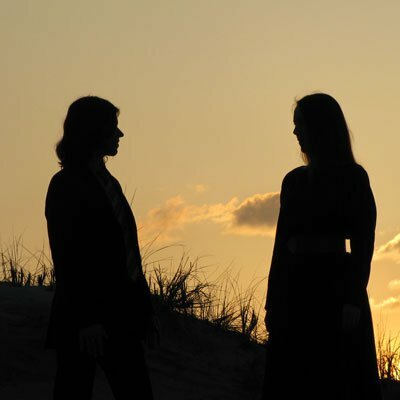 Together since 2006, Rob Montejo and Monika Bullette each bring a richness of previous experience, Montejo from his days in one of the original American shoegaze bands Smashing Orange, and Bullette from her time singing with NERO and drumming for Licorice Roots. 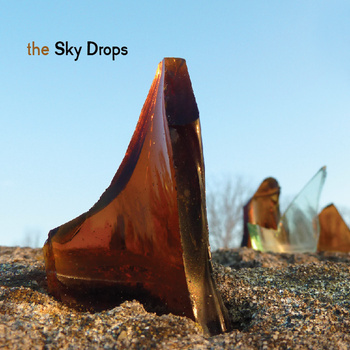 A solidly DIY band, The Sky Drops have self-mananged and self-booked their way into sharing a stage with Cold War Kids, Chairlift, Lights, The Dirty Projectors, and others while touring throughout the United States and the UK. They performed at the Ambient/Psych Rock Fest in Boston, as well as the Austin Psych Fest this past April. Explain it to me, if you can. You can make sense of this all, right? Please say yes. There’s a hell of a dark side aching in my hand. It’s the color of love, but not loud enough. It’s the longing, the aching within that consumes the joy all around me. The dissatisfaction takes over and I am no longer who I know I am. I am god. I am god. I AM the most important force in my universe. No one can stop me. I listen to only myself. But no, that’s not true. Because in every decision I make, I hear your voice as well, directing me, congratulating me, disputing me. Explain it to me, if you can. There’s a storm on the bright side hanging from my head. It’s the cloud of a lifetime coming down as a landslide. It’s here to overwhelm me and dispel the darkness spreading like a cancer within. It’s sweeping over me as my salvation, my way out of this cave, and yet I back away, cringing. I know I should step out of the shadows, embrace the light. And yet, I hesitate. Do I really want to leave the comfort of the darkness? Will it be better out there in the open? Can I stand under the blazing sun and tolerate the truth of who I really am? What would you like to have explained?